Hey everyone! Ed “SapMagic” Altorfer here, back again to talk about Ranked. In our latest video we detailed how splits work and how you’ll earn split-based rewards. We also answered a bunch of common questions you’ve been asking. In this article, we’re going to cover a few topics we weren’t able to get to in the video: season rewards, how Honor ties into Ranked, and what we’re doing to recognize players who go above and beyond to demonstrate their skill. How is the Victorious skin chosen? We wanted to include this one because we get it a lot, but while doing our research for the article we realized we already answered this one back in 2017’s Ask Riot: Victorious Champions. Check it out! Why is the Victorious skin linked to Gold? At a high level, we want earning the Victorious skin to feel like definitive recognition of your skill in League of Legends. To do that, it needs to feel exclusive and aspirational, and finding the right amount of exclusivity is actually key to making it feel aspirational. If the bar for the Victorious skin is too high, it won’t feel aspirational to players because they’ll perceive it as completely out of reach. On the other hand, if it’s too low, players will feel like they don’t have to work for it. Is the “bar” to reach Gold changing? In short: Not much. Since we’re adding two tiers next year to give you better recognition and feedback as you get better at the game, the distribution of players across ranks will change a bit, but we’re trying to preserve the meaning of ranks as much as possible. That’s especially important at Gold, which has a lot of historical meaning in terms of what it means to be a skilled player. Here’s a general rule of thumb for how you can think about what your rank will be next year: By the end of next season, assuming you play a similar number of games at the same skill level, you should be able to achieve an equal or slightly higher rank than this season. Once we finish the position rank regional previews, that feature should further improve the accuracy of your rank (and might give it a small bump) since autofill and off-position games won’t be lumped in as much with your main. Why does my Honor level affect Ranked rewards? It might seem counterintuitive to some players that we withhold rewards and reward progress below a certain Honor threshold, but—to us—sportsmanship is a big deal in competitive play, both in and outside of League. When we look at the most successful Ranked players, they’re the ones who can stay cool under pressure, lead their teams in difficult circumstances, and work together to win games. Ranked rewards are all about bragging rights and recognizing success, so we can use Honor to make sure you’re being a good teammate before we hand them out. How will Honor work with split rewards? The intent of tying Honor to Ranked is to make sure you’re only eligible for rewards if you’re a sportsmanlike player. That works well for season rewards because we can check your Honor level when the season ends and figure out if we should grant you rewards. Split rewards work a little differently. Starting next season, you’ll unlock split rewards when you have enough Split Points, so we had to figure out how that should work with Honor. We decided on the following approach: As long as you’re Honor level 1 or higher, you’ll be eligible to earn Split Points. At Honor level 2 and above, you’ll earn bonus points toward split rewards. This solution effectively stops unsportsmanlike players from making progress toward rewards while giving an extra boost to players who have a positive impact on their games. GG<3 Summoner! Since you’re adding Iron tier, will Bronze get a border? Going forward, you’ll actually have ranked armor and a loading screen border regardless of rank. That means Bronze and Iron tiers will both get borders when we start the new season. So why the change? When we started exploring the updates we wanted to make to Ranked, one of our big goals was to give you regular milestones and meaningful goals regardless of skill. To do that, it’s important that you be able to see and feel your progress from game to game as you’re climbing. If you don’t have ranked armor or a loading screen border below a certain skill level, you’d miss out on the awesome feeling of promoting from Iron to Bronze and seeing your armor and loading screen border level up when you queue for your next game. We think a better way to differentiate high skill players is to make their armor and border look more bright, polished, and visually impressive, so that’s what we’ll be doing going forward. What’s the deal with physical rewards for Challenger players? A few years back, we set out to introduce physical rewards for Challenger players as a way to heat up competition at the top of the ladder, especially toward the end of the season. We also thought it would be cool to give players something to commemorate being one of the best players on the server. So far, the results have been… well, mixed. We generally feel like we did a pretty good job of giving players a cool physical reward to commemorate their achievement, but that has been accompanied by delays caused by the incredible logistical challenge of distributing physical rewards. At the same time, we haven’t really seen a sustained increase in competition at the top of the ladder. Our current plan is not to grant physical rewards for Challenger at the end of 2019. Instead, from the beginning of the season, you’ll be able to earn the long-awaited Challenger recall effect, which we think is pretty solid since it reflects your skill and you can show it off in every game. We may test out other aspirational rewards like this in the future, and if you have ideas we’d love to hear them. Haha—yep! Earlier this year, we laid out our plan to overhaul Ranked, which includes clear feedback during placements, better matchmaking, more accurate ranks, milestones and meaningful goals regardless of skill, and new rewards for deep and ongoing engagement. Post 1: /dev: Updates to Ranked for 2019: We started the journey all the way back in April! In this post, we introduced our goals and high-level plans for Ranked 2019 to start a conversation with you. Post 2: What We Heard on Ranked 2019: In this post, we summarized what we heard from you about those plans and goals. Post 3: /dev: Addressing Your Feedback on Ranked for 2019: In this post, we discussed how we’re adjusting position ranks based on initial feedback we heard from you. Post 4: /dev: Next Steps for Position Ranks in 2019: In this post, we laid out our final plan for releasing position ranks: regional previews followed by a broader rollout to all regions worldwide. Post 5: /dev diary: New Tiers & Placements in Ranked 2019: In this video, Primus, Thiago, and I detailed the new placement system and our plan for adding Iron and Grandmaster tier. Post 6: /dev: Top Tier Changes to Ranked for 2019: In this post, we talked about how the top of the ladder would be affected by the Ranked changes. 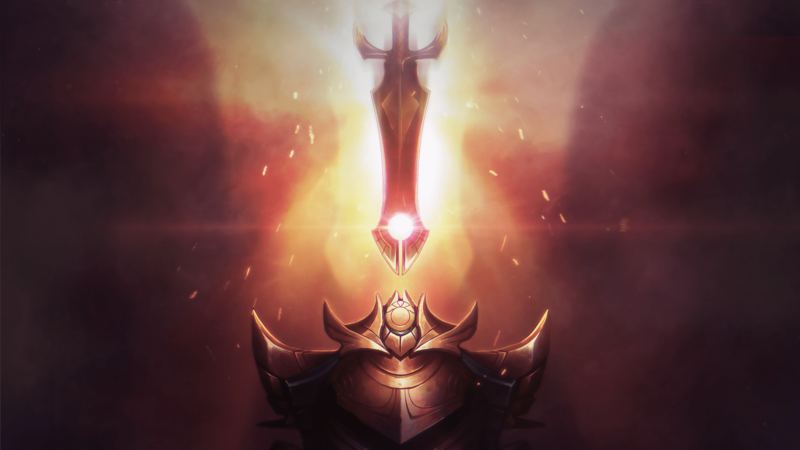 Post 7: /dev diary: Rewards and Splits in Ranked 2019: Here’s the video that accompanies this dev blog—it lays out the three-split season and how you’ll earn rewards next year. Post 8: /dev: More on 2019 Ranked Rewards: You’re reading this one right now. Hi! That’s all we’ve got time for now. As always we’re open to your feedback, and we’re sure you have a ton more questions. Keep sharing them along with any concerns in the comments—or, better yet, smash that Ask Riot button below. Thanks for playing, and we’ll see you on the Rift!